The marketing of business and the marketing of self dissect at many points, starting with the way we communicate verbally and non-verbally. SandySpadaro.com strives to explore this correlation with people that value personal & professional growth by improving their communication skill-sets. Take control of your messaging. 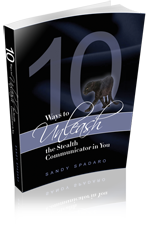 Become a better communicator. Gossip in the Workplace: Friend or Foe?